In the beginning there was a IT World without an easy to use automation solution. 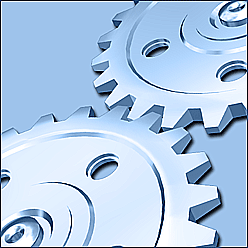 Then came Febooti Software and in November 03, 2008 they released Automation Workshop. And IT professionals were happy, because they could create Automation Workshop’s Tasks using GUI, instead of writing boring Batch (.bat) scripts, VBScripts, JScripts or even PowerShell scripts. This is our story. After the launch of Automation Workshop, we were happy, because many recurring tasks now could be created without writing single line of code. Our users were happy too, because they could reduce costs by using our software. But time passed and support requests came in. And many people were perfectly satisfied with Automation Workshop, however they needed some small thing/tweak/feature/improvement that were not available using Automation Workshop’s standard features. 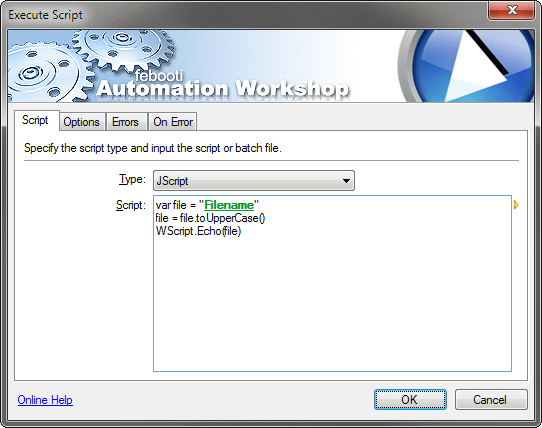 So now in year 2011 we released Automation Workshop v1.1 that features a new Action – Execute script. This is Action that can execute JScript (.js), VBScript (.vbs), PowerShell (.ps1) and Batch (.bat) scripts. Now we are feeling that we are somehow returned to the starting point where users need to write scripts, write code instead of using elegant and intuitive GUI tool. But this is not the same place where we were in 2008. Now users can combine both strengths – Visual GUI tool and power of the scripting. Windows PowerShell – late 2006.